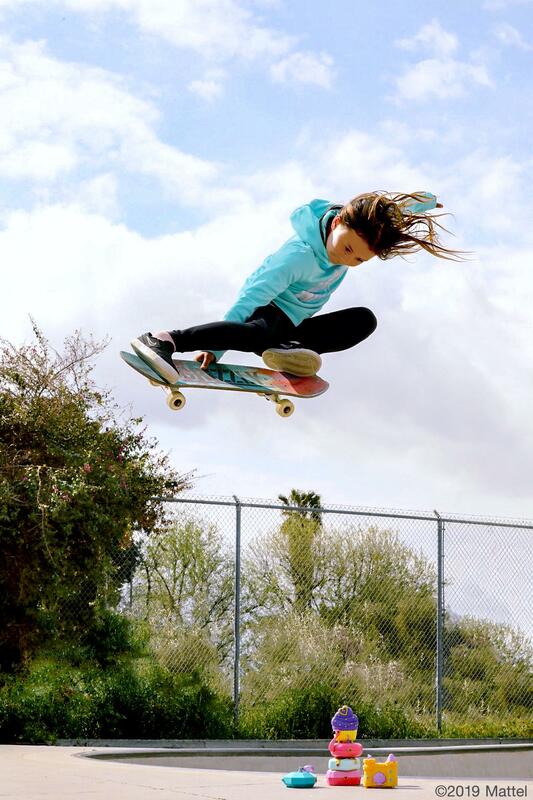 EL SEGUNDO, Calif., April 10, 2019 /PRNewswire/ — Polly Pocket™, a franchise of Mattel (NASDAQ: MAT), today announced top skateboarder, Sky Brown, as a new Global Brand Ambassador as she embodies the brand’s message that “Tiny is Mighty!™” The 10-year-old skateboarder is one of the youngest girls to compete and medal at a professional skateboarding competition. She dares to challenge the status quo and encourages girls to take on new adventures, just like Polly Pocket. As the original collectible brand, last year Mattel re-introduced Polly Pocket in the original micro-scale size and compacts that made her a 90’s phenomenon. With more than 12 million compacts sold throughout the years, the Polly Pocket product line nods to the brand’s heritage and surprise factor but reflects an updated look for this next generation. The year-long partnership will be brought to life through content across social and digital platforms. The Polly Pocket brand will also gift a one-of-a-kind micro doll set in Brown’s likeness to celebrate her skateboarding accomplishments. For additional information on Polly Pocket visit Polly’s YouTube Channel and watch the latest episodes on Hulu now. Fans of Power Episode 7 - A New Filmation Book, Art Book Woes, Calendars and Superman IV?! Fans of Power Episode 20 - Savage She-Ra?, Tri-Klops, Fan Feedback! Incoming Cannonball! Caddyshack Funko Pop! Figures are here!